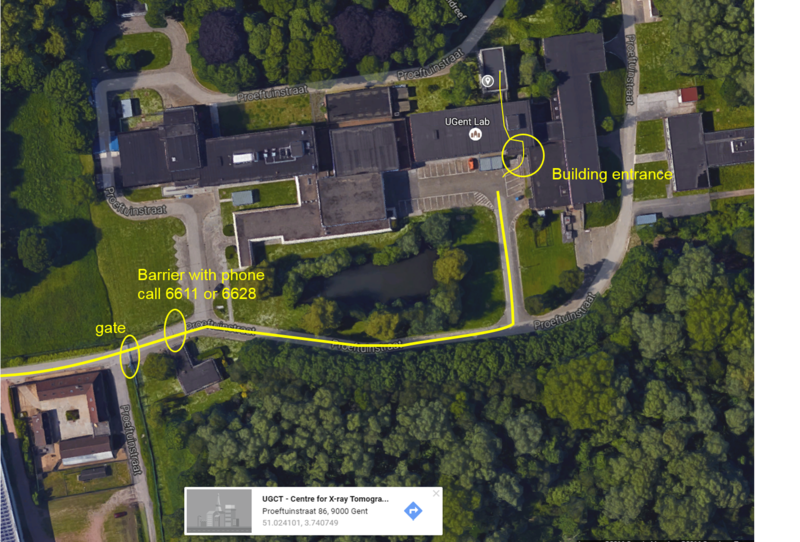 You can reach campus Proeftuin (previously known as INW) by car through exit UZ Gent of the E17. For public transport it is best to take bus 8, 65 or 67 of De Lijn to stop Gent Proeftuinstraat. The campus is at the end of the Proeftuinstraat, which is a street with a dead end. You will face a barrier when entering the campus. Call 6611 or 6628 on the phone which is located there so we can open them for you. Our scanners and the Radiation Physics group are located in building N3/N12. This is the second turn to your left when entering the campus. We are in the small building which you can enter left of the elevator after entering building N3.